Santa Barbara is sort of my happy place. Though I’ve never been there. But sitting in my chilly, snowed-in Boston office, Santa Barbara just seems like warmth and happiness and everything beautiful in the world. And I’m pretty sure that if the universe is listening, it will pick up my house and move it right plop in the center of this little slice of heaven. Hmm, you’re probably right. Next best thing? Living vicariously through a Santa Barbara wedding as pretty as this one and the inspiring photography of our sweet friend Lacie Hansen. Then soaking up the incredible, is-this-real-life? film by one of our besties and cinema genius, Joel Serrato and of course, hitting up the galleries for far more lovely. 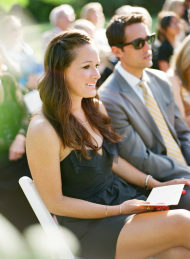 From the Bride… Brandon and I met the night of my 28th birthday through a mutual friend at a bar in West Hollywood. Just as we walked in, he happened to be standing right there, and worked with one of my best friends. There, we were introduced, however, I was out with a gaggle of girlfriends and meeting a guy was the last thing on my mind! He did manage to get my number and asked me to dinner for the following week. The hostess on our first date told us that “we were a very cute couple.” We never looked back. Our wedding was just over a year later on June 9, 2012 at the Four Seasons Biltmore in Santa Barbara, California. Having grown up just north of Santa Barbara in the Santa Ynez Valley, that hotel has always been one of my favorite spots and was special to us as it was the location of our first weekend getaway together. 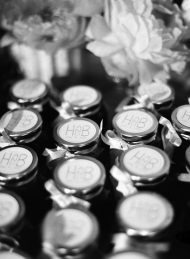 We knew we wanted the wedding to feel very romanitic and warm with a touch of easy elegance. We also played off of the classic Spanish architecture of the hotel. The ceremony was interfaith with a Rabbi and Minister who worked perfectly together. We loved taking traditions from both Jewish and Episcopalian religions. The ceremony was held on the beautiful Monte Vista Lawn surrounded by palm trees and gorgeous views of the Santa Ynez Mountains. The bridesmaids wore coral, blush or champange dresses and chose their own style by the same designer. I definitely wanted them to do what they wanted and wear what they loved! During cocktail hour in the Palmera Garden, guests sipped on some of our favorite snacks and refreshments including fresh blood orange margaritas, vodka gimlets dusted with mini gold stars, and little patron bottles filled with homemade margaritas, and accompanied by bit sized tacos. 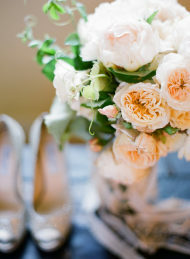 We then moved into the Loggia Ballroom decorated with an abundance of peonies, cabbage roses, hydrageas, viburnum and dahlias, hundreds of twinkling candles, and a soft glowing fire in the fireplace. 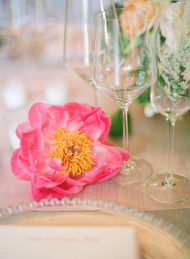 The tables were of various shapes and sizes and shared hues of blush and champagne, with pops of coral and hints of gold. The 12 piece band was incredible, specializing in Motown, but playing everything from Foster the People to Van Morrison to Madonna. After the dinner and dancing, Brandon and I exited under a trail of sparklers, and led the way across the street to the Mardis Gras themed after-party at the ocean-front Coral Casino. There, our guests donned boas, beads and masks, and dined on sliders, mini shakes and fries while dancing away to a DJ spinning tunes into the wee hours. Some guests even woke up in the sand to the sunrise! The day and night could not have been more perfect. 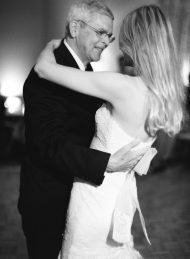 By far, the most special moments were being around all of our best friends and family, spending the day getting ready with my bridesmaids and mother, walking down the aisle on the arm of my father, and most of all, marrying the most wonderful man and the love of my life. 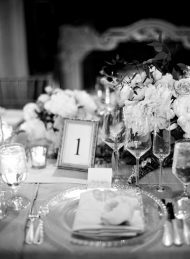 Joel Serrato Films, La Tavola Fine Linen Rental and TEAM Hair and Makeup are members of our Little Black Book. For more information on how members are chosen, click here. Amsale, J.Crew and Monique Lhuillier are members of our Look Book. For more information on how members are chosen, click here. San Ysidro Ranch Wedding by Elizabeth Messina Featured on Snippet & Ink! If you loved Sharon and Adam’s wedding, then you’ll love today’s feature – another stunning celebration at San Ysidro Ranch, this one from my dear friend Elizabeth Messina. It’s also being featured in the latest issue of Magnolia Rouge, so be sure to check that out as well! You can see so much more from Tiffany and Peter’s gorgeous garden wedding in the gallery. 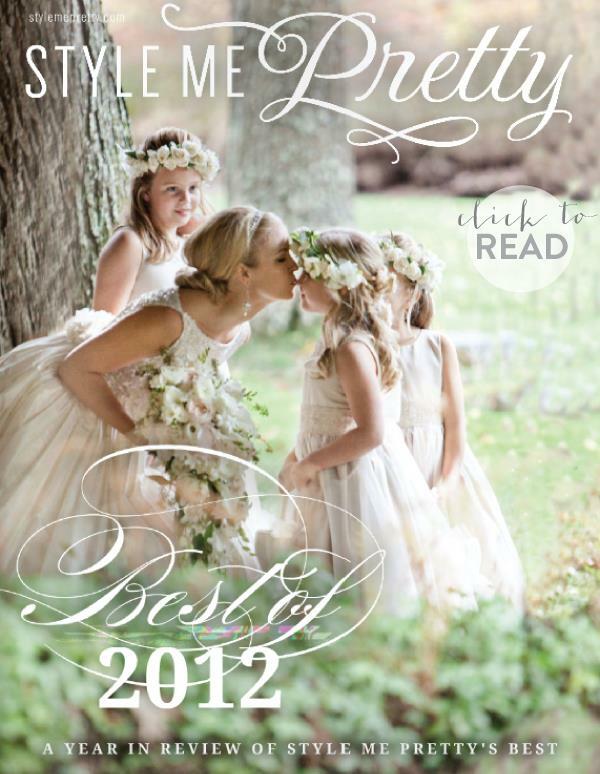 Featured In Best of 2012 Weddings Style Me Pretty Magazine! "Hidden" Boudoir Shoot Featured on Style Me Pretty! In the land of boudoir shoots, this gem reigns Queen. All at once classy and crazy feminine, photographer Lacie Hansen is taking a unique approach to capturing a Bride au naturel. And it’s gorgeous. Jaw-droppingly so and with the help of Mar of TEAM Hair and Makeup who added a dash of sparkle to an already gorgeous Bride, this has shaped up to be one of the most beautiful set of images we’ve ever come across. Hands down. 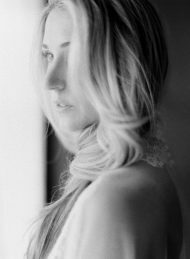 From Lacie Hansen Photography… Mar of TEAM and I have joined together and we are now offering “Hidden.” This is a more organic feminine look into boudoir. Our goal is to bring out the beauty of being a woman while using soft lighting and natural locations. We have come up with the concept of using etherial wardrobe thanks to Claire Pettibone and combing natural hair and makeup thanks to TEAM! Shooting 100% film helps me capture this organic, ethereal look to my work. Boudoir showcases the body of a women and by adding the henna on her hands and feet we wanted to show the beauty in this body art. 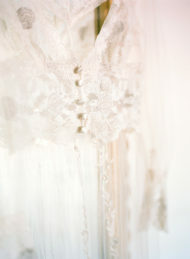 Claire Pettibone is a member of our Look Book. For more information on how members are chosen, click here. Featured on the Cover of 805 Living Magazine! 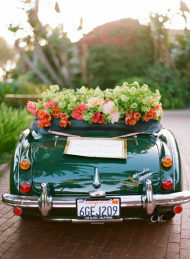 Elegant San Ysidro Ranch Wedding Featured on Once Wed! NYE Makeup Tips Featured on Style Me Pretty! New Years Eve is merely hours away and we could not be more excited. Our dresses have been procured, our baubbles selected and our shoes polished to a shine. While the bubbly chills in the fridge it’s now safe to turn our attention to the pièce de résistance: our makeup. Whether you’re after a natural look or hoping to wow them with a glamorous approach there’s no need to fret, the lovely Mar of TEAM Hair and Makeup is here sharing some tips and tricks. Let’s just say that she has you covered. Following her simple approach you are more or less guaranteed to look dazzling when the clock strikes midnight tonight. 1. Use a hydrating moisturizer, let it dry, and then apply a powder that matches your skin. The easiest way to choose the right shade is to simply swipe on the powder. If the color disappears into your skin, ta-da it matches! If you’re using a mineral powder, be sure to buff your skin with a powder brush to ensure an even complexion. 2. Apply a pop of blush to the apple of your cheeks and blend down while moving the brush up towards your temple. 3. Use a shade of lip stain one hue deeper than your natural color. One of my go-to’s is Maybelline’s 24 hour lip color in Eternal Sunset. Instead of painting on the color, dab a tiny bit on your pointer finger and softly pat the color on within your lip line. Rub it in to blend and then add a layer of clear gloss. For an extra pout, add a touch of Mac liner in Naked. 4. For instant brightness and easy application try eyeshadow cream. It will stay all day without creasing. Apply it with your index finger and dab onto your lids. Layer for more intensity! 5. To complete your daytime look apply a shimmery bronzer for a light pick me up! Dust on forehead and and chin only. 1. Add Mac Pigment in Copper Sparkle on top of your everyday shadow. To do so, wet your brush first with water and press the pigment onto your lid. Alternatively, add it onto a cream shadow base for more drama. Use a press and wiggle technique, adding two layers, for a festive pop! 2. Try Mac Bronzer in matte to warm you up where the sun would naturally kiss your skin (below your blush, on your forehead and on your chin). Consider using it to create a higher cheekbone by blending some on top of your blush too! 3. With Makeup Forever’s Aqua liner in Black, line the inside your waterline and smudge it with your angled liner brush. Next, layer on your MAC Copper Sparkle pigment and blend it in. 4. LASHES!! Put a mirror on the counter so you can look down and get a better view. Apply a thin line of glue (black is my favorite) to the back of your non-dominant hand. Drag the strip gently through the glue so that a thin line coats the base of the lash. Wave the lash in the air a few times – this will make the glue a little tacky so that it won’t slide around as much! Looking down into the mirror, press the lash evenly to your natural lash line and let it dry for 30 seconds. 5. Add Smashbox gloss in Tease over your natural lip stain for added color. 6. Last but not least, the final addition to this look: Makeup Forever Gold Glitter! Apply it lightly under and around the eyes. Then, dust it on your lid with your favorite shadow brush.